WASHINGTON (Reuters) - Amazon.com Inc is exploring alternatives to locating part of its new headquarters in New York in case the plan should fail due to local opposition, a person briefed on the matter told Reuters on Friday. The person briefed on the matter said that Amazon was still working towards winning approval from New York officials and had not given up on the proposal, but was considering potential alternatives to New York. 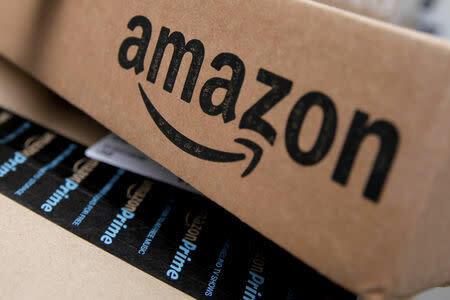 Earlier, the Post, which is owned by Amazon Chief Executive Jeff Bezos, reported that Amazon executives had internal discussions to reassess the situation in New York and explore alternatives. It cited two unnamed people familiar with the retailer's thinking. "We're focussed on engaging with our new neighbours - small business owners, educators, and community leaders," it said. "Whether it's building a pipeline of local jobs through workforce training or funding computer science classes for thousands of New York City students, we are working hard to demonstrate what kind of neighbour we will be." But some residents in the rapidly transforming Long Island City neighbourhood across the East River from mid town Manhattan's skyscrapers have loudly opposed Amazon's plan. They say they fear more crowded subway stations, an overburdened sewage system and rent increases that would drive out long-time residents. "I would be happy not to have them," said Terri Gloyd, the co-owner of the LIC Corner Cafe. "I think most of the neighbourhood hasn't wanted them here." She said her neighbours may have given the prospect of Amazon a warmer welcome had the subsidy package not been so large. City council speaker Corey Johnson told local radio he is looking at subsidies for Amazon and that the plan is not yet final. One point of contention could be Amazon's opposition to labour unions. Ocasio-Cortez tweeted a link to the Post story on Friday and said: "Can everyday people come together and effectively organise against creeping overreach of one of the world’s biggest corporations? Yes, they can." Amazon ended the frenzy by dividing the spoils between the two most powerful U.S. East Coast cities and offering a consolation prize of a 5,000-person centre in Nashville, Tennessee. It can also apply for other tax incentives, such as New York City's Relocation and Employment Assistance Programme that offers tax breaks potentially worth $900 million over 12 years. What benefit the company would actually get was unclear.